Everyone wins when a big company acquires a start-up. Exactly three years ago, Google Inc. (Nasdaq: GOOG) co-founder Larry Page again took over as CEO, ten years after leaving the position. Eric Schmidt vacated the post to become chairman, and Page began to take the search giant in a new direction. Schmidt, who had been parachuted into the company in 2001 because of investor pressure as a responsible adult to turn the small and bubbling start-up into the corporate giant that Google has become. However, three years ago, it was decided to go back to basics, and not just with a personnel change, in order to give Google the feel and atmosphere of a start-up that it had lost over the years. The idea was to instill innovation, agility, and a faster pace of decision-making in a company with tens of thousands of employees. This was only part of Google's strategy to feel younger and more innovative. In fact, the company is one of the most active buyers of start-ups and technology companies, with over 150 acquisitions amounting to billions of dollars. This method has brought many new faces to Google's departments, and kept its head above the water in a range of fields. Google is not alone of course. Many enterprises in Israel and other countries are trying to bring in innovation through the back door. However big and smart they may be, these enterprises know that not all wisdom is found in the company's corridors, and that there is a need for some smarts and new thinking from outside, either through acquisitions, or more efficiently and smartly through strategic collaborations. Examples are Qualcomm Corporation (Nasdaq: QCOM) and Deutsche Telekom AG (XETRA: DTE). The two giants have shown great interest in tiny Ness Ziona-based Magisto Ltd. and have embraced it. The Israeli company has developed an advanced app for editing video clips directly from smartphones. The app is installed in hundreds of thousands of Deutsche Telekom handsets and the company works closely with Qualcomm on future developments. 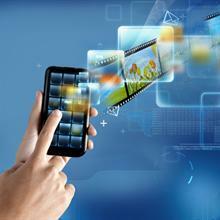 "Video is one of the key elements in 4G networks, which are far faster than their predecessors. We consume as much as Facebook or WhatsApp in almost the same way, but Deutsche Telekom sought the extra something to offer its users, and provide this with our video editing service," says Magisto co-founder and CEO Oren Boiman. Boiman says that the collaboration with Qualcomm put it in the lead. "All of Magisto's technology and the set of products that we're developing are not part of Qualcomm's repertoire," he says. "They know how to make high-speed cameras, but we bring the product that is supposed to be the killer app, which can differentiate between what it sees through the camera, how to take automatic pictures, track the person in front of the camera, and so on. "The advantage of big enterprises cooperating with start-ups is the added value and differentiation for their users when the need to answer the question whether our product causes their product to be better and different from other products. They know that they can't do everything in-house." In Israel, too, the same feeling that the lack of innovation can be solved by linking up with start-ups is also understood. For example,Zap Group Ltd. linked up with several Israel start-ups to offer added value to its advertiser clients. Zap Group CEO Nir Lempert says, "Assimilating a start-up in a big company can give it many advantages, such as a system-wide perspective, relevant ties in Israel and other countries, and help solve relevant business problems from life and not just in theory." Lempert says that the company's cooperation model with start-ups allows them use the large enterprises as a kind of beta site for various experiences and to see how things work in practice, and to change direction, if necessary. "We can install the product on our websites and apps and together try and promote the finished product in the world," he says. Lempert says that two successful examples are MobeeArt Ltd., which began as a company for building mobile sites for small businesses, and now develops systems for managing a full digital presence for these companies, and Vcita Ltd., which began as a diary management solution for free professionals, and with the influence of Zap Group developed the product to manage leads for small businesses. "The change and development was made at our demand and needs, and these products are now sold in a number of countries. These transactions are win-win for both sides," says Lampert. "Globes", in collaboration with Bank Hapoalim (TASE: POLI) is launching the second annual SmartUp competition for Israeli start-ups. As part of the project, "Globes" correspondents will track three start-ups, which receive assistance from incubator experts and Bank Hapoalim advisers, based on the understanding that many companies with good groundbreaking ideas get stuck at the start because of difficulties that prevent them from achieving their potential. The project is designed for Israeli companies that have raised at least NIS 250,000 in seed funding. Each company selected for the program will receive over three months advice from the high tech and business world on a range of topics relevant for early-stage start-ups, such as marketing, financing, human resources, and heading overseas. All they have to do is to register at smartup2 page (in Hebrew), and tell us why your start-up should participate. 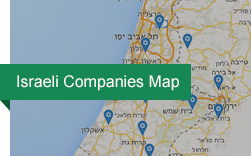 Participating companies will receive a start-up package from Bank Hapoalim, including a high-tech account at preferred terms and a NIS 20,000 grant. The three winners will receive assistance from leading Israeli incubators and accelerators Explore.Dream.Discover, 8200 EISP, andNielsen Innovate. Start-up notionsThe real roots of Israel's economic miracle The 1990s were a revolutionary time Israel's economic development. The government created Yozma, the innovative venture capital vehicle structured by the Israeli government, saw an inrush of venture capital, a wave of NASDAQ IPOs, and benefited from a surge in corporate technology acquisitions. Recent accounts represent the period as a case study for governments looking to foster entrepreneurship. But that story is so incomplete as to mislead policy makers. In fact, developments in the 1990s were the fruits of a process almost forty years old.The real timeline:1. 1950s. The seeds of Israel’s entrepreneurial revolution were sown in the late 1940s and 1950s. Israel’s first (Weizmann) and fourth (Katzir) presidents were scientists. Both believed strongly in the role of science in national defense and societal prosperity; in and of itself unique in the world and a strong message about national priorities. The first military technology transfers took place then, half a century before Mirabilis created ICQ, the first instant messaging system.2. 1960s. R&D got a huge boost in the 1960s, in part from the sudden 1967 French weapons embargo: military self-reliance became defense policy, leading to massive investments in military R&D and the seeding of what would become an entrepreneurial hothouse, the Intelligence Signal Corp (Unit 8200). In 1968 the Katchalski Committee recommended the establishment of the Office of the Chief Scientist (OCS) to help fix market failures in commercializing R&D.3. 1970s. The early 1970s saw Israel’s first NASDAQ IPO (1972; by medical imaging pioneer, Elscint), the embryonic involvement of top-tier US-based venture capital, and very significantly, the establishment in Israel in 1974 of Intel’s first international R&D center. In 1977 the influential BIRD foundation was created to fund technology-based product development between Israeli and US companies.4. 1980s. By the early 1980s there were numerous top-tier VC investments, and by 1984 the NASDAQ value of the first wave of a dozen Israeli tech ventures was $780 million. 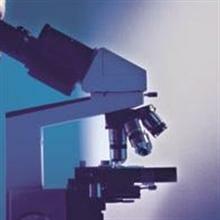 In 1984 the government passed the milestone Law for the Encouragement of R&D. 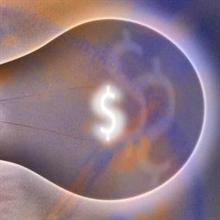 In 1985 the first limited partnership venture capital fund, Athena Venture Partners, was established with $23 million. In 1987 the cancellation of the Lavi fighter-plane mega-project flooded the market with thousands of engineers who swelled the ranks of startups. By 1989 I even had enough material for my speech in Berlin at the European Venture Capital Association conference, “The History of Israeli’ Technological Entrepreneurship.”You can’t write American history without Jefferson and Washington, yet the authors of Start-Up Nation tried to do the equivalent, overlooking founding fathers like Uzia Galil and Dan Tolkowsky. They’ve even neglected the founding sons—people like Zohar Zisapel (founder of 29 IT firms) and Efi Arazi (founder of Scitex). There are consequences to this revisionism. For example, by focusing on the 90s, policymakers have neglected the parallel entrepreneurship ecosystem that preceded—and enabled—initiatives like Yozma.But it was this ecosystem that, by 1990, made Israel’s entrepreneurial revolution a fait accompli; so much so that by 1997 there had been 68 NASDAQ IPOs—all before Yozma’s investments started bearing fruit.And in truth the massive Russian immigration of scientists and engineers has had little direct impact on Israel’s entrepreneurial revolution—in the 90s most had no choice but to accept K-12 teaching or low-level service jobs; Israel’s vast incubator program, admirably privatized, has bred a relatively low number of successful ventures; and Israel’s culture and institutions were anti-entrepreneurial until the mid-1990s, with labor and the government owning huge portions of the economy, wealth being scorned, and marginal tax rates discouraging extra work.Israel’s entrepreneurial accomplishments have indeed been nothing short of miraculous. Since 1972, over 160 Israeli ventures have been listed on NASDAQ, more than any other country outside of the U.S. and Canada, and hundreds of tech ventures have been acquired. Tens, if not hundreds, of billions of dollars of value have been created. The world benefits from Israeli innovations, such as the USB memory stick, instant messaging and new generation cardiac stents, to name a few. The entrepreneurs who created such novel products have disproportionately contributed to Israel’s growth. So it is only natural for policy makers around the world to want to learn from Israel’s remarkable experience. But they will only reach the right conclusions if they first get the history right. Tel Aviv ranked world's 3rd hottest city for 2011By JPOST.COM STAFF 11/01/2010 15:03 Lonely Planet's Top Cities list describes Israel's most international city as hedonistic, tolerant, cultured, and a truly diverse 21st-century hub.After scouring the globe for next year’s hottest cities, the editors at travel guide company Lonely Planet released their Top 10 Cities for 2011 on Sunday, listing what it called a “modern Sin City” – Tel Aviv – at No. 3.Coming in behind New York City and Tangier, Tel Aviv is described as being unified by the religion of hedonism, yet tolerant, cultured and a truly diverse 21st-century hub.Touching on the city’s wellknown night life, Lonely Planet observes, “There are more bars than synagogues, God is a DJ and everyone’s body is a temple.”Calling Tel Aviv the most international city in Israel, Lonely Planet points out that the city is home to a large gay community, calling it “a kind of San Francisco in the Middle East.”On a cultural note, they credit the city’s university and museums with making it “the greenhouse for Israel’s growing art, film and music scenes.”Lonely Planet recommends strolling down the pleasant tree-lined streets that reach to the Mediterranean Sea, and finding out why Tel Aviv’s residents call it the greatest city on earth.Other cities that made the list were Valencia, the Peruvian Amazon city of Iquitos, Delhi, Newcastle, and the city the company describes as the spiritual heir to Bob Dylan, Chiang Mai.Lonely Planet on Sunday also listed its Top 10 Countries for 2011. While Israel did not make the 2011 list, Syria did.Coming in at No. 9, the guide lauds Syria’s slowly liberalizing economy and the newfound freedom of no longer having the “noose of the ‘Axis of Evil’ tag hanging around its neck” as some of the reasons for Syria making this year’s list.The writers recommend the old cities of Aleppo and Damascus, exploring the open countryside “strewn with the abandoned playgrounds of fallen empires.”Albania topped the list, with Brazil coming in second.